LectureNotes is an Android app for note-taking by handwriting on the screen, in particular with a stylus. It has been designed while having a user at university (or at school) in mind, for instance a lecturer who is using it for preparing her/his lecture or even for actual teaching (by writing on the device and projecting the screen content for the audience) or a student who is using it for taking handwritten notes during a lecture. However, it has found many users outside university, for instance businesspersons who use it for business notes and sales presentations or artists who use it to create sketches and drawings. Its major target devices are tablets with Android 3.0 or later (it is developed on a Samsung Galaxy Note 10.1 with an S-pen, and an Asus Nexus 7, a Samsung Nexus 10, an Amazon Kindle Fire HD, and an Asus MeMO Pad with an Adonit Jot Pro and a Wacom Bamboo stylus). The basic functionality works on all devices with Android 3.0 or later, but some which are hardware-dependent such as pressure sensitivity might not. NOTE : There is a free trial version to test if the app is right for you. 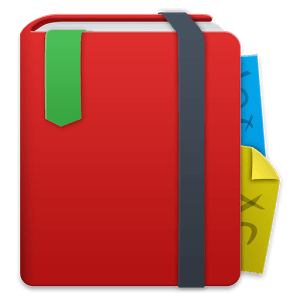 The free trial version is fully functional with the exception that the number of notebooks is constrained to two, with no more than eight pages per notebook. Possible issue : For certain functionality, the app requires other apps to be installed: Notebook and folder import, notebooks board restore, and image set import require a file manager app to be installed; image import directly from camera requires a camera app to be installed; PDF import requires a file manager app and PDFView to be installed; export to Evernote requires the Evernote app to be installed; export to OneNote requires the OneNote app to be installed.